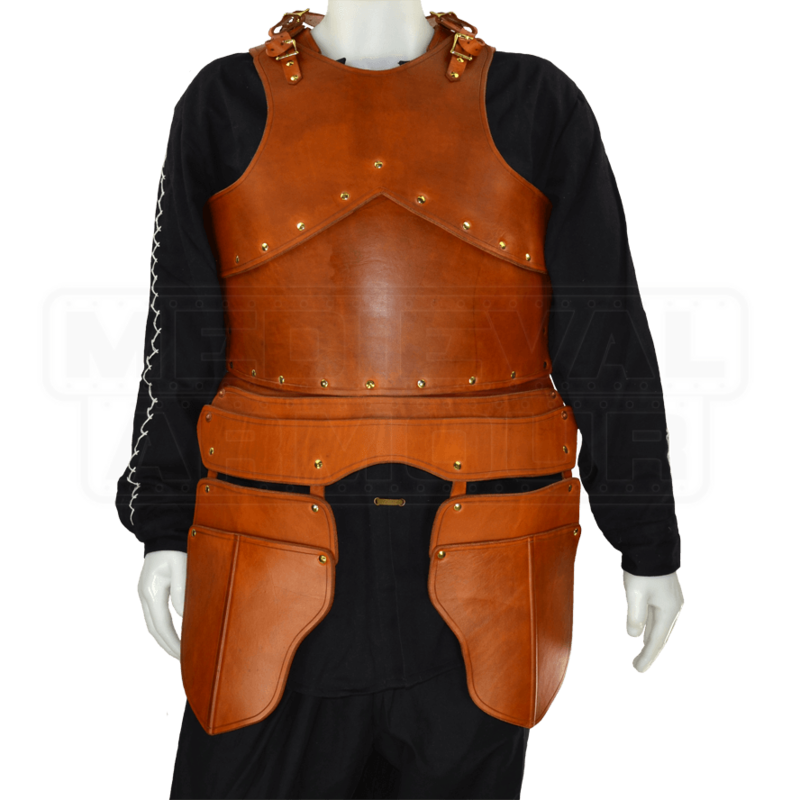 Our Formed Leather Cuirass with Tassets includes a molded breastplate with tassets and a molded backplate each with an articulated fauld. 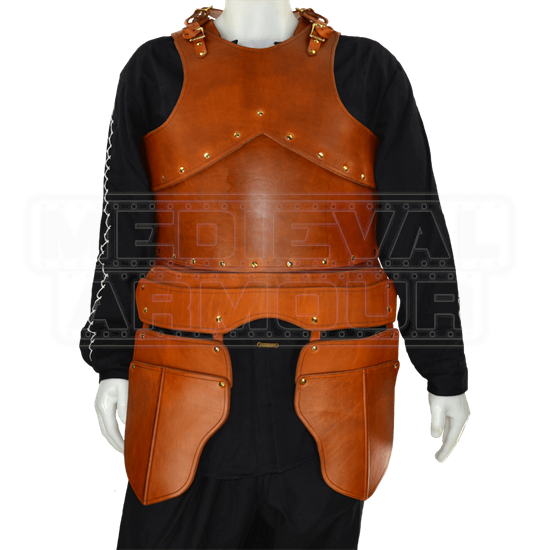 This leather armour is hand crafted from armor grade 13/15 ounce leather, so it is perfect to use for most re-enactments including those done in the SCA and for LARP. With the leather being water hardened, the finished product is a much harder surface than a piece of armour that has not been molded and this results in much better protection. Attached to the front fauld are two tassets. The tassets are also made from 13/15 ounce leather and feature a molded crease up the center of the tasset which helps bend the tasset and makes it rest on the leg better. There are straps at the waist and at the shoulders to secure the armour. There is also a d-ring at the top of each shoulder and this is for attaching pauldrons to it. This is a nice feature because it means you do not have to wear a gorget if you do not want to. This armor is currently made in a Standard Size.